Rosenberg paints a deep, complex portrait of a vibrant, brilliant, yet troubled woman. At the beginning of every chapter, Morstad accompanies these descriptions with Quentin Blake-like ink illustrations that capture the strange mix of whimsy, humor, and solemnity that permeated Maud’s thoughts. Recommend to Anne fans, aspiring writers, or anyone wanting a peek inside the mind of a famous author who constantly fought for success and happiness. Rosenberg writes clearly and honestly, making liberal use of Maud's own words, allowing Maud's courage and joy to shine despite her very real problems...A kind, thoughtful, nuanced portrayal of one of the icons of children's literature. Rosenberg’s comprehensive biography of the author of the beloved Anne of Green Gables series presents a multidimensional portrait of a complicated and conflicted writer...this illuminating and satisfying biography takes on life and depth as Montgomery’s own voice grows more prominent. In prose that often rivals that of her subject for its lyricism, Rosenberg presents an honest look at a woman who, while providing some of literature’s happiest moments, wavered between extremes of emotion herself...A timeline and references are included, and each chapter is fronted by a nostalgic and delicate pen-and-ink illustration that adds piquancy by capturing the light-hearted side of the beloved author. 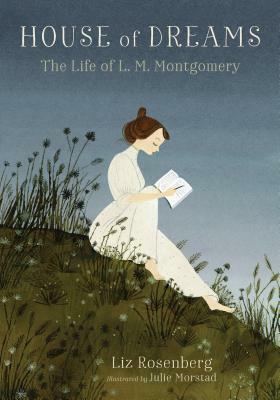 A well-balanced biography that offers plenty of tidbits for fans and that acknowledges what Montgomery means to many, without overly romanticizing the author or her story. While the tale is full of sweet stories, beautiful examples of literary writing, and adventurous anecdotes, it also shows the not-so-glamorous life of Montgomery. This honest look at her life reveals her struggles with depression and other illnesses as well as her interpersonal challenges...the reader is drawn into her world of imagination, writing, and her love of language.